After all, that’s where the three-time Olympic swimmer got her start. 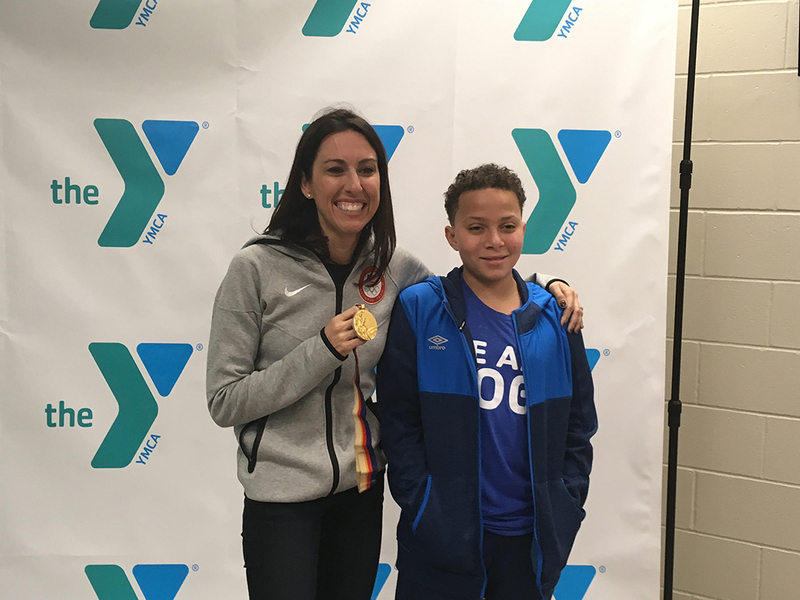 Evans, 47, visited the Fishers YMCA Jan. 26 to give a one-hour stroke clinic and then shared her success story, took questions, posed for pictures and signed autographs for the swimmers. In the evening, she attended the YMCA’s Revolution Ball in downtown Indianapolis to raise money for swim lessons and water safety programs. Evans won Olympic gold medals in the 400-meter freestyle, 800 freestyle and 400 individual medley at the 1988 Olympics and won a gold in the 800 freestyle and a silver in the 400 freestyle at the 1992 Olympics. She didn’t win a medal at the 1996 Olympics in Atlanta but she did have a memorable moment, passing the Olympic torch to Muhammad Ali. Evans came out of retirement and achieved her goal by qualifying for the 2012 U.S. Olympic Trials. “I just wanted to see what I could do as a 40-year-old woman,” Evans said. Evans enjoys sharing advice with the young swimmers.